The program for solving linear programming problems by the simplex method. Sources at Delphi with detailed comments. 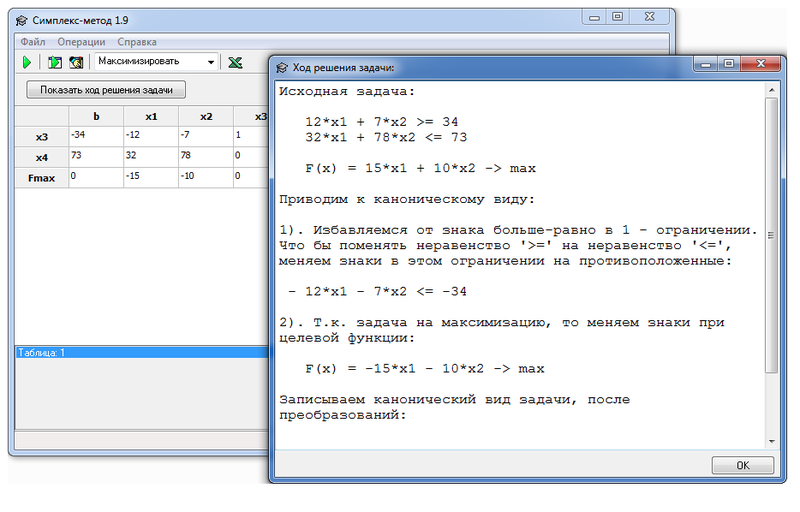 3) Some examples of the calculation program. The archive contains two versions of the source. 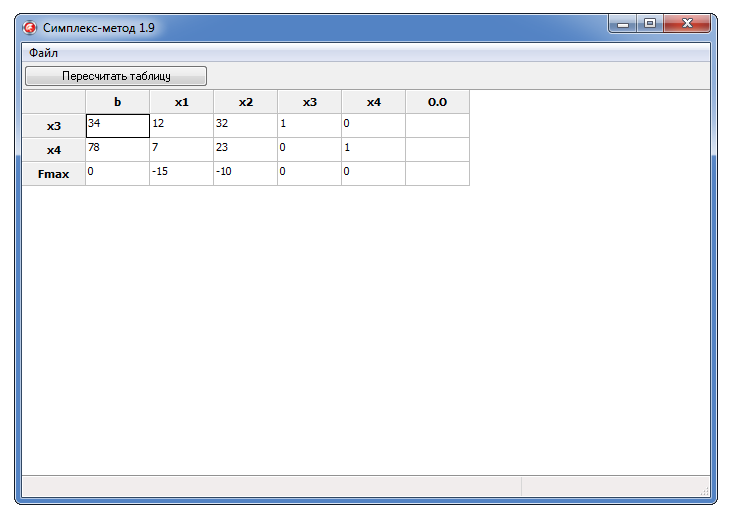 The first - is more complicated, with the export to Excel, and more complicated interface. 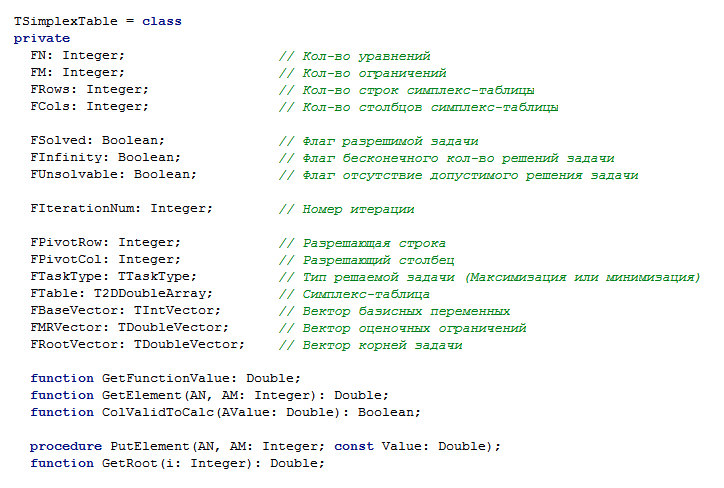 The second program "scalc_lite" - this is the lite version first. There is only a function of the conversion table, and saving decisions in a text file. Code to a minimum. This version is suitable for students who need a simple solution to the problem, and nothing more.